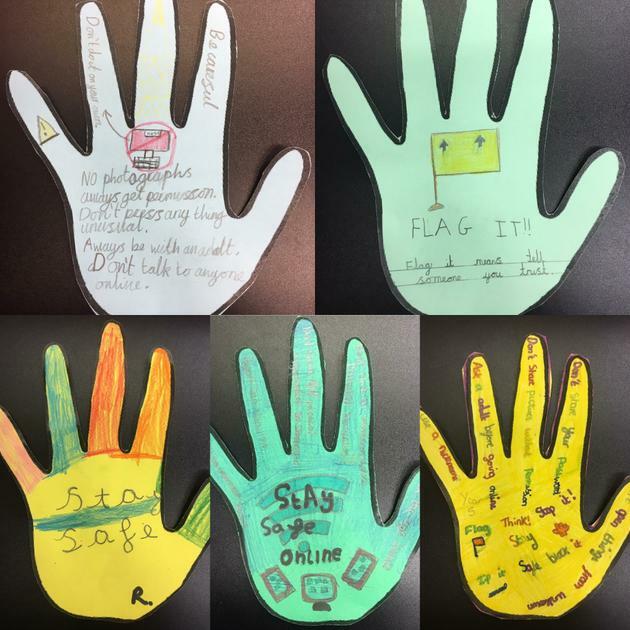 We have been very busy in prerperation for Safer Internet Day 2019. 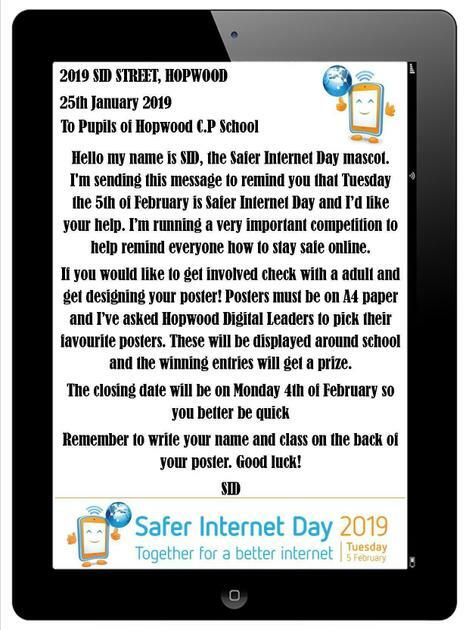 We launched a poster competition and started writing questions for our Safer Internet Day Kahoot quiz, which we will be running with KS2. 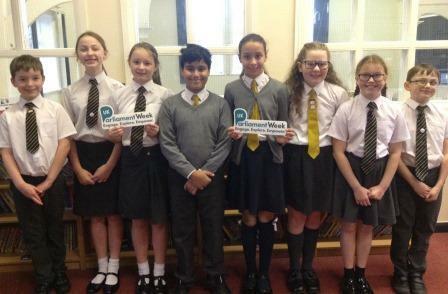 This month we took part in our school Youth Parliament as part of UK Parliament Week. 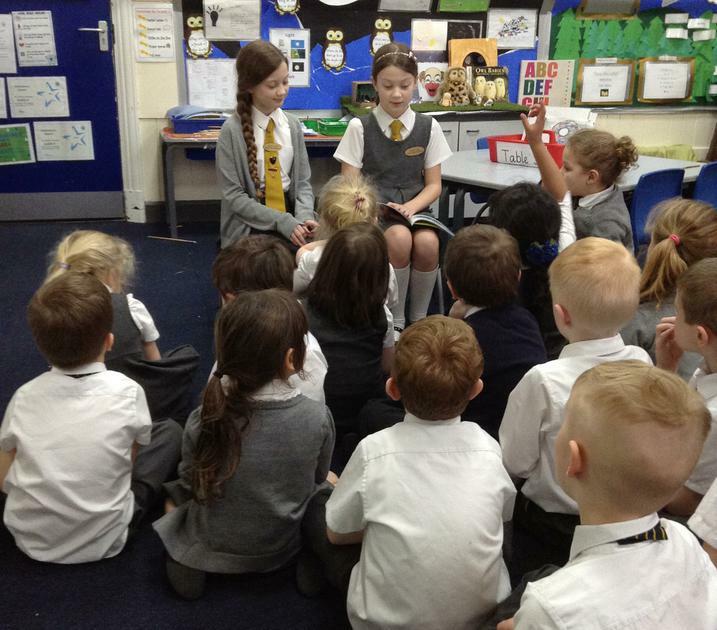 We discussed our aims for the year with other pupil voice groups in our school and how we could support each other. 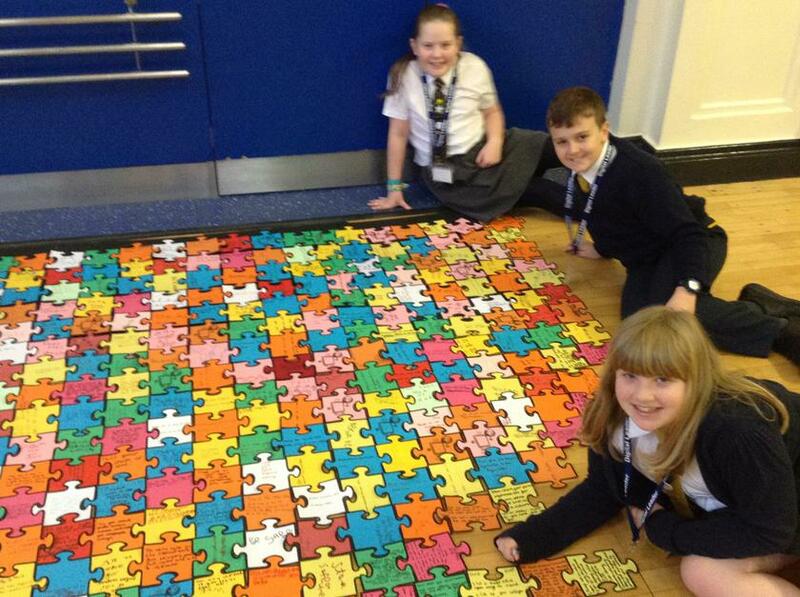 We have also been working with Year 3 on their Christmas calendar. 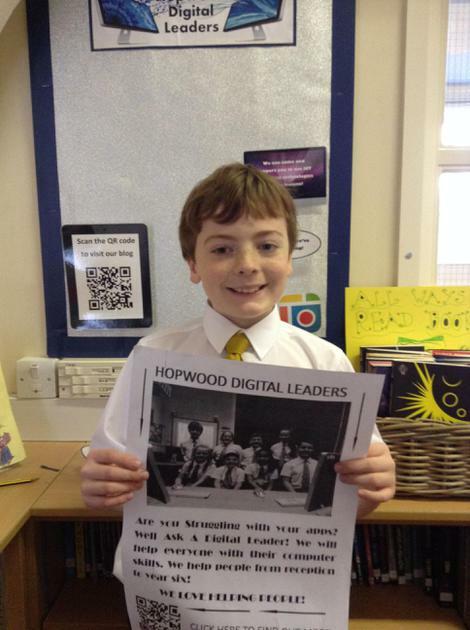 This month we have been very busy recruiting three new Digital Leaders to join us. 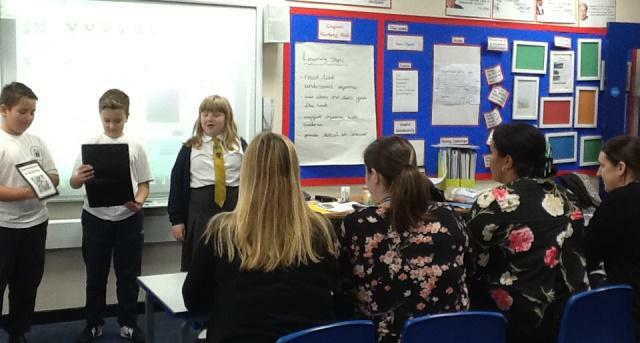 We presented our roles to both Year 5 classes, shortlisted and interviewed applicants. 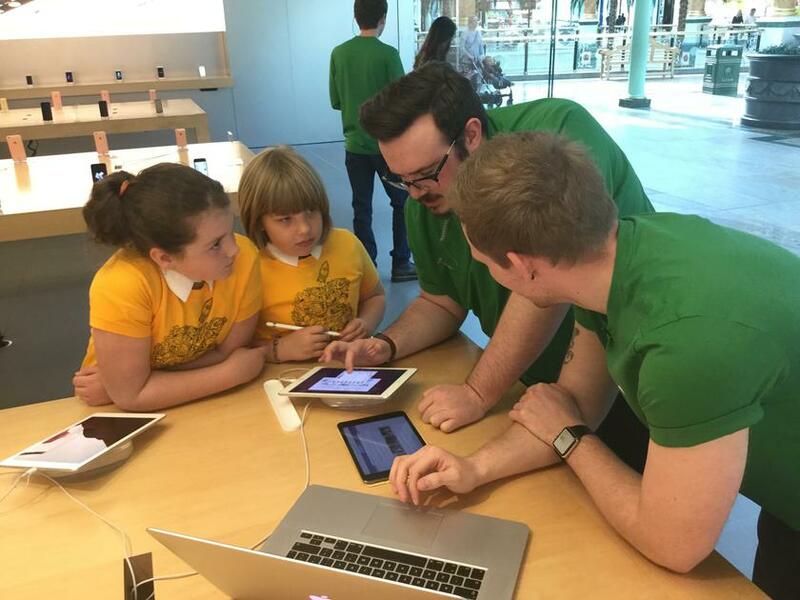 We then had the difficult job of narrowing it down to three sucessful candidates. 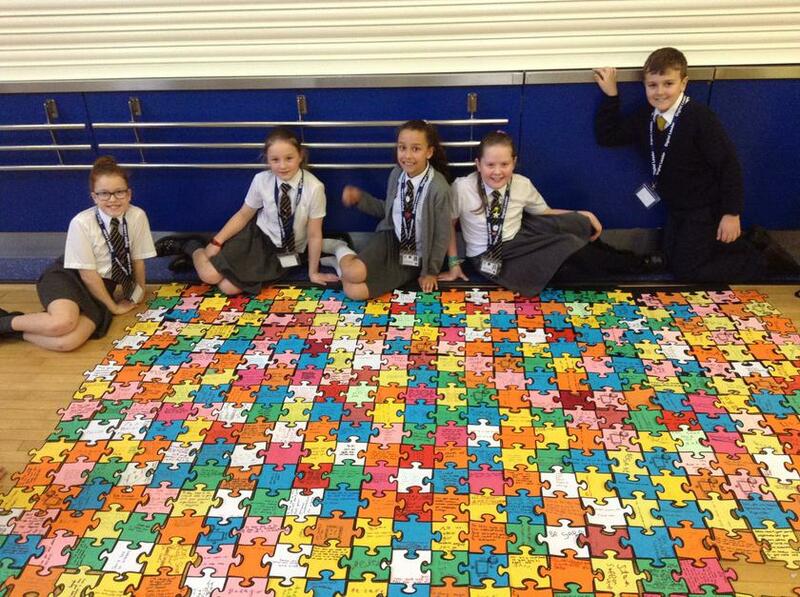 We are looking forward to a fantastic year ahead! 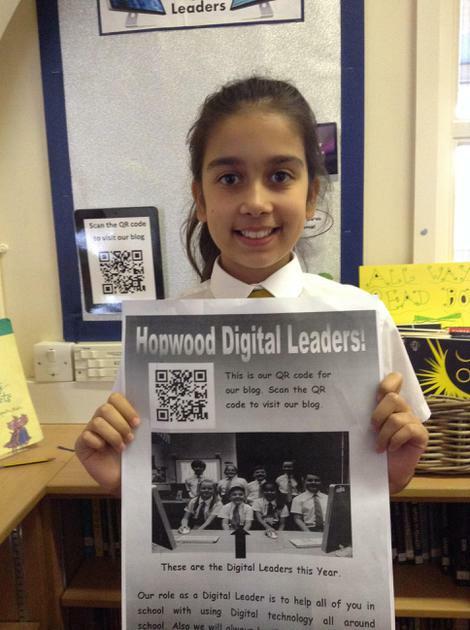 We will be speaking to upper Key Stage 2 children soon as we need to recruit a few more Digital Leaders to join us. 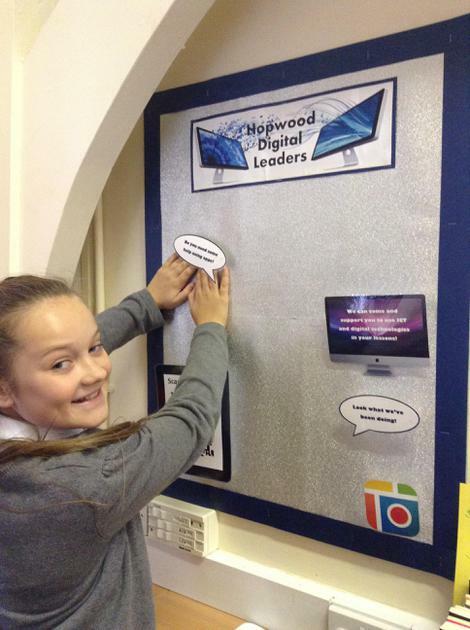 We attended our first Digital Leader event today at Bowlee Park Primary School. 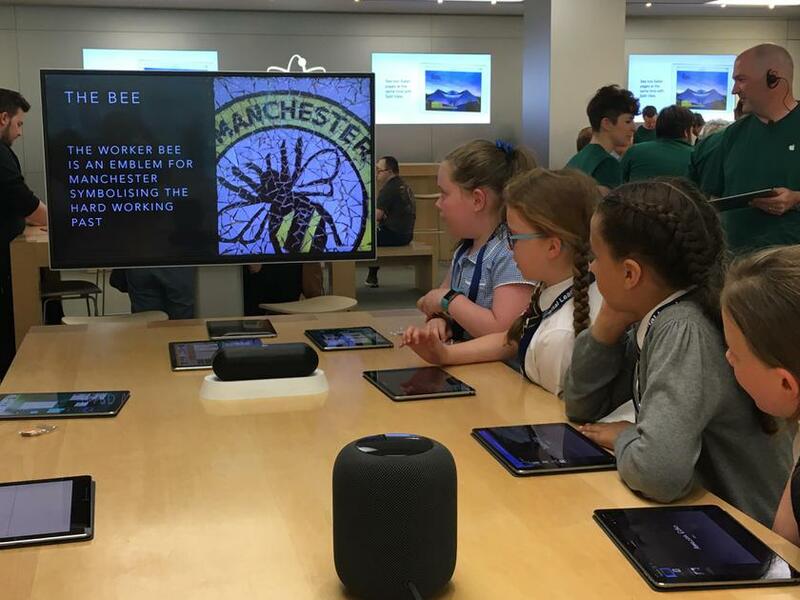 We were introduced to our new Rochdale Digital Leader blog and discovered more about the challenges we will be set over the coming year. 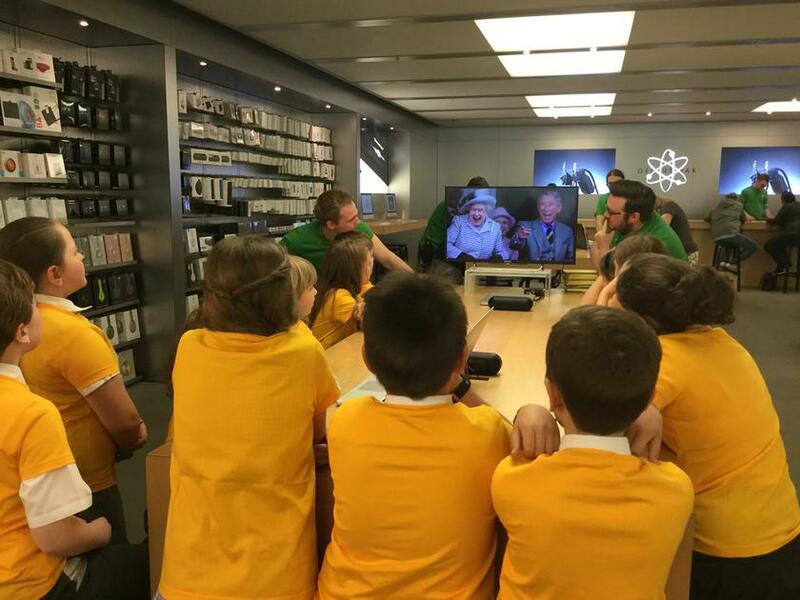 This half term we went on a trip to Apple to learn how to use the keynote app. 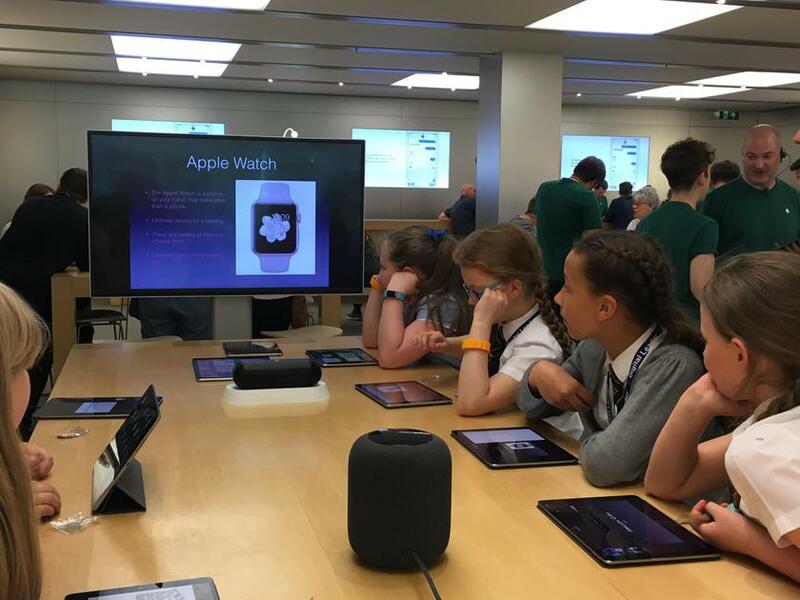 We decided to learn about this app so that we can prepare our final presentation for the Digital Leader KidsMeet next month and so we can show other people at school how to use it. 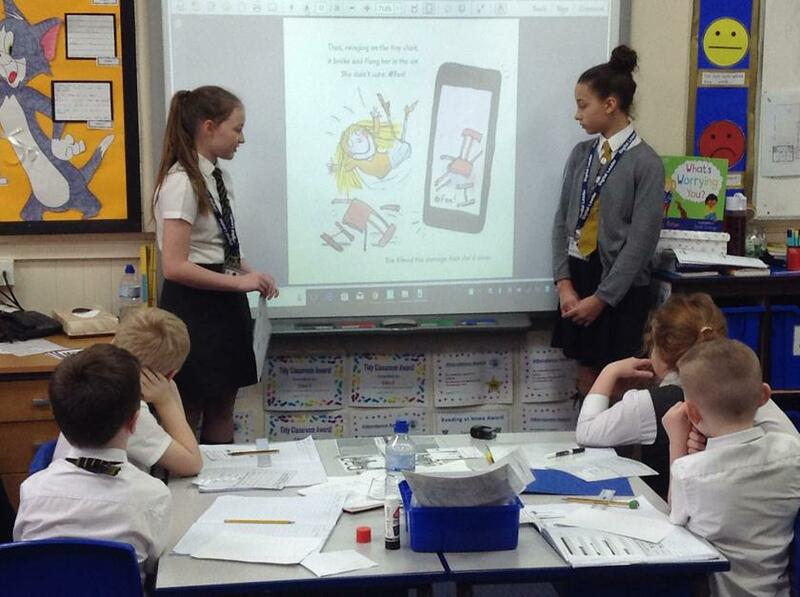 We had a fantastic morning and made our own mini presentations, which we shared, and learned about the different functions on the app. 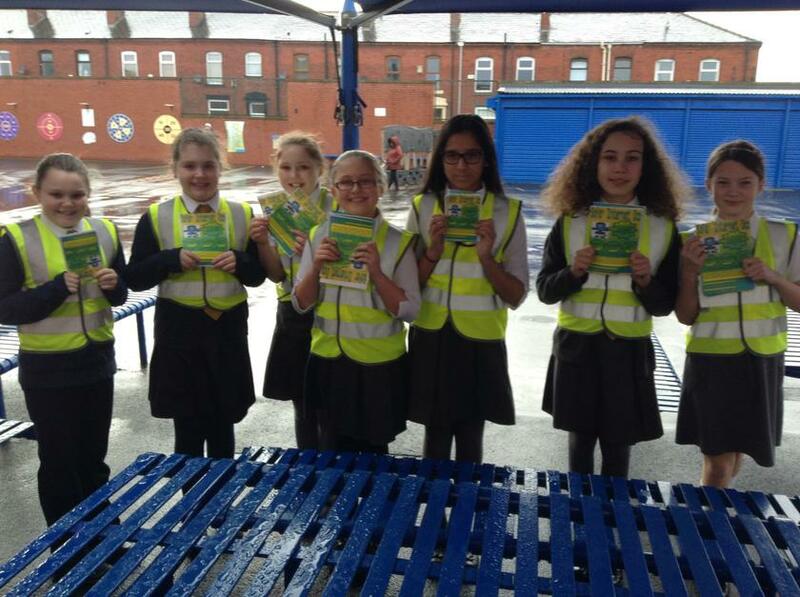 We have also been busy distributing the Digital Parenting magazine to every child in school to take home. 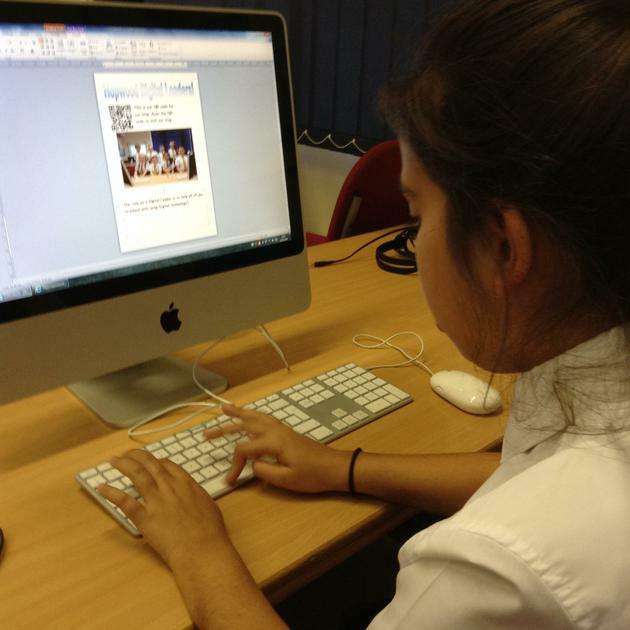 The magazine contains lots of advice and articles for parents about the digital world their children are in. 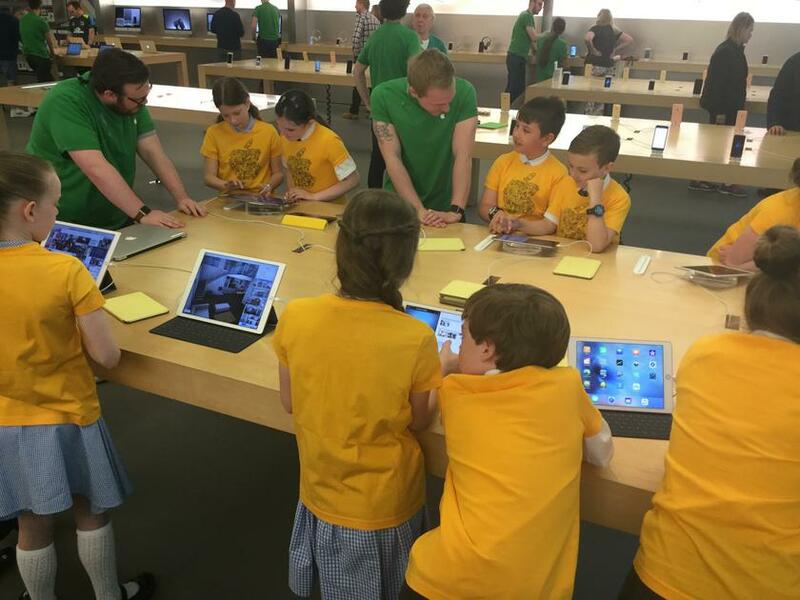 It also includes useful user guides to set up parental controls on different apps and devices. 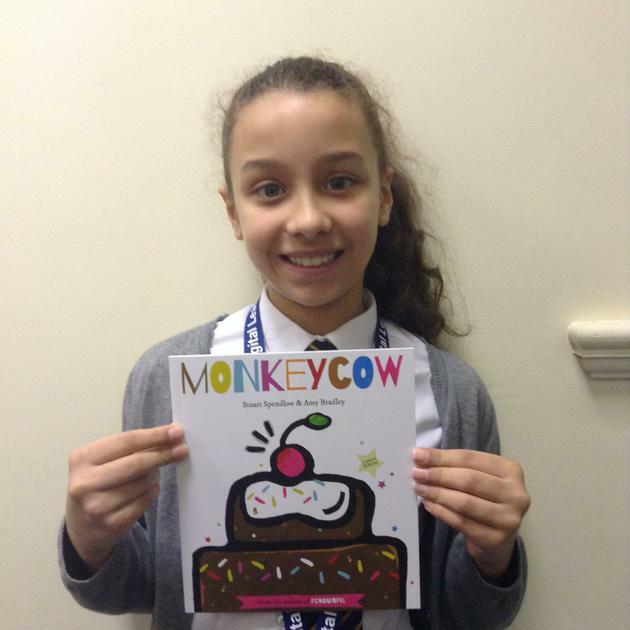 You can read a copy of issue 6 by clicking HERE. 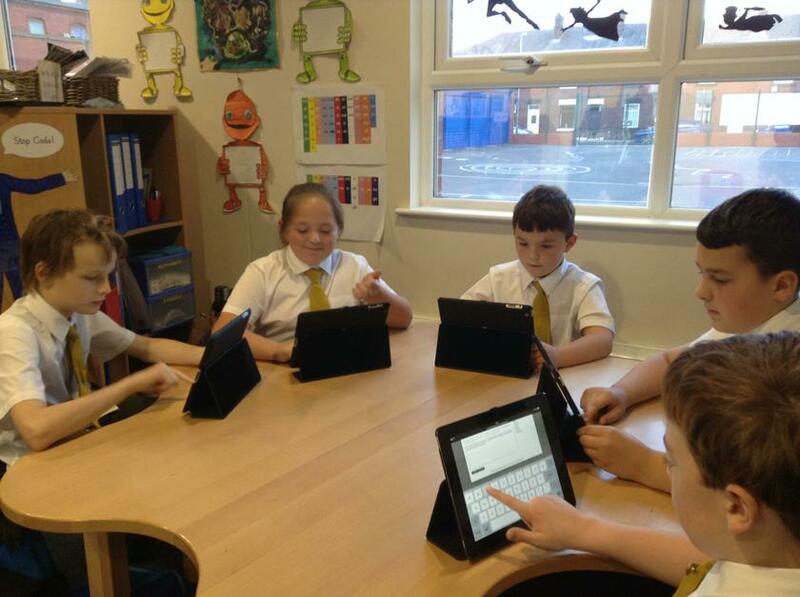 We have been busy creating user guides for some of the apps on our school iPads. 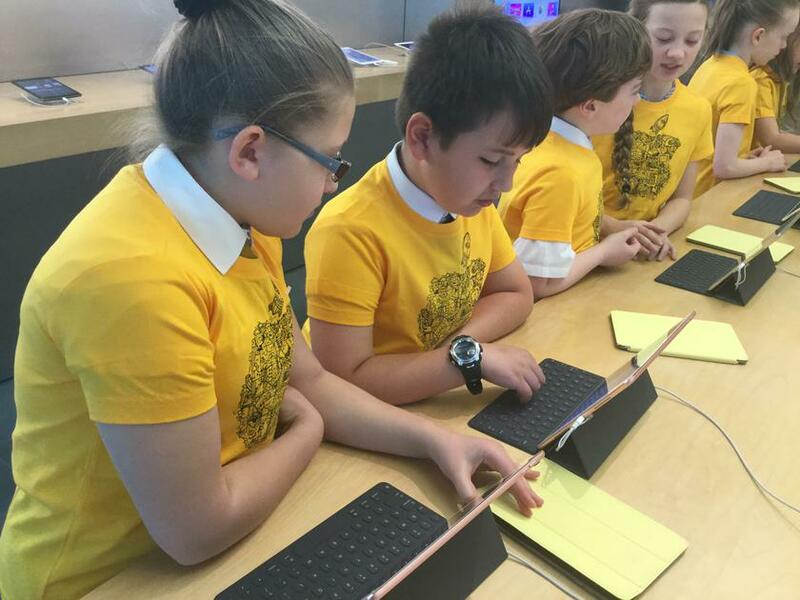 You can find our iPad library of user guides by visiting our blog or by following this LINK. 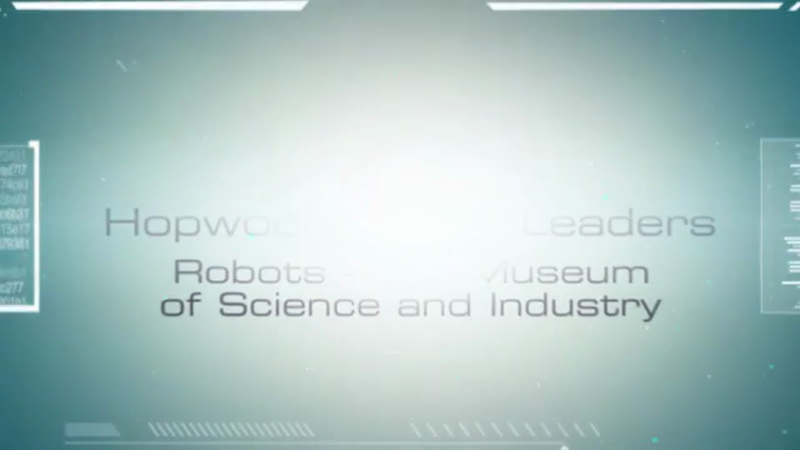 On Monday 26th March we visited the Museum of Science and Industry in Manchester to see the 'Robots' exhibit. 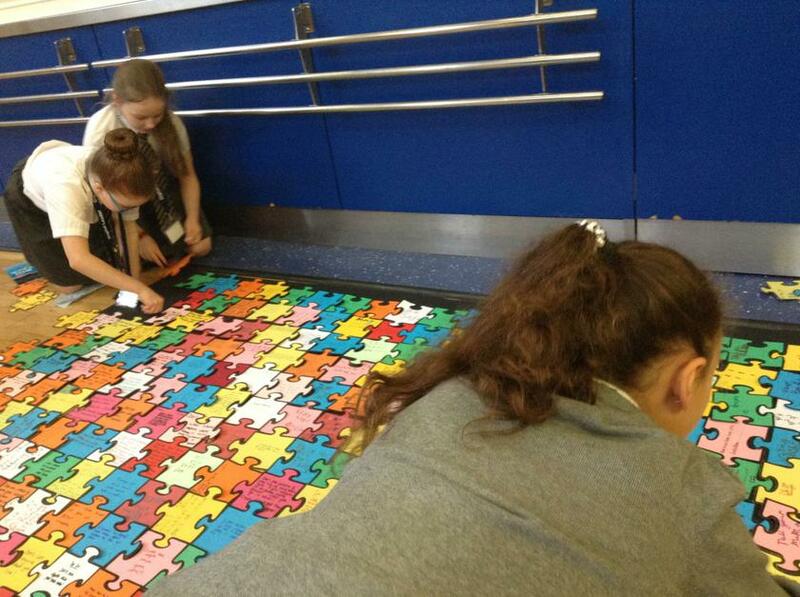 We followed the activity trail and went through different sections split in to marvel, obey, dream, build and imagine. 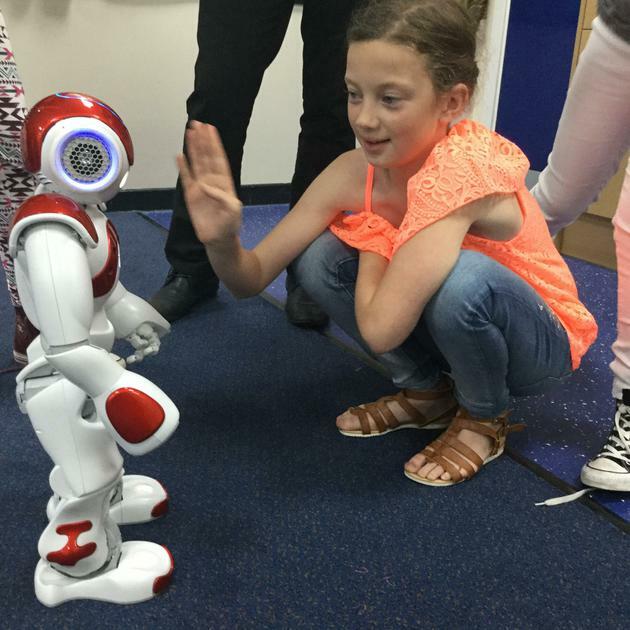 We saw how computers had developed from CAMs and animatronics, to weaving machines in the industrial revolution, to robots using electricity up to the present day. 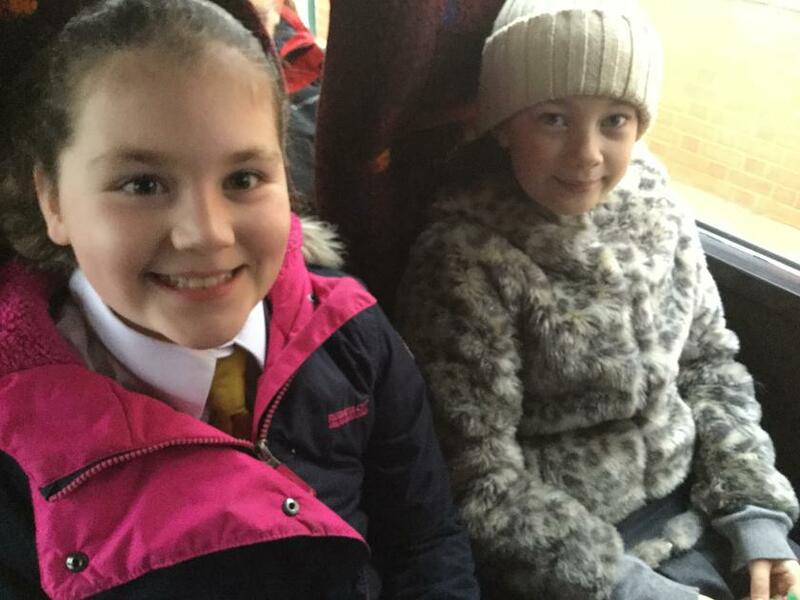 Here are some pictures and videos from our trip. 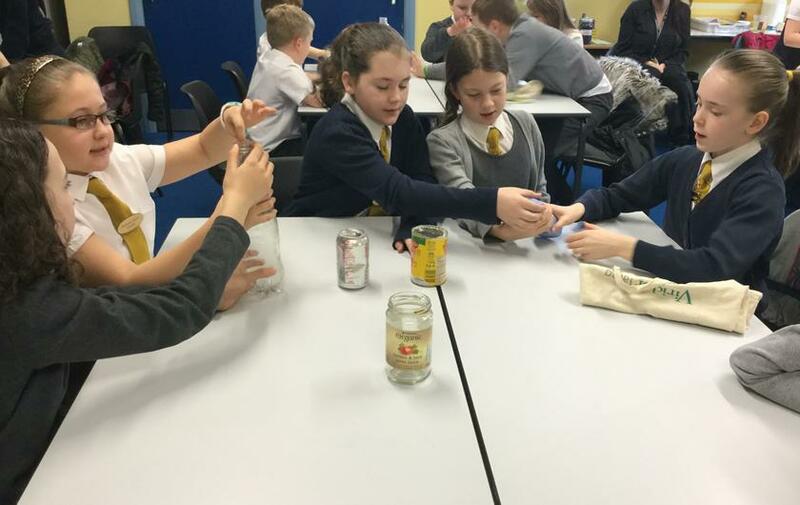 This month we took part in Safer Internet Day activities across school. 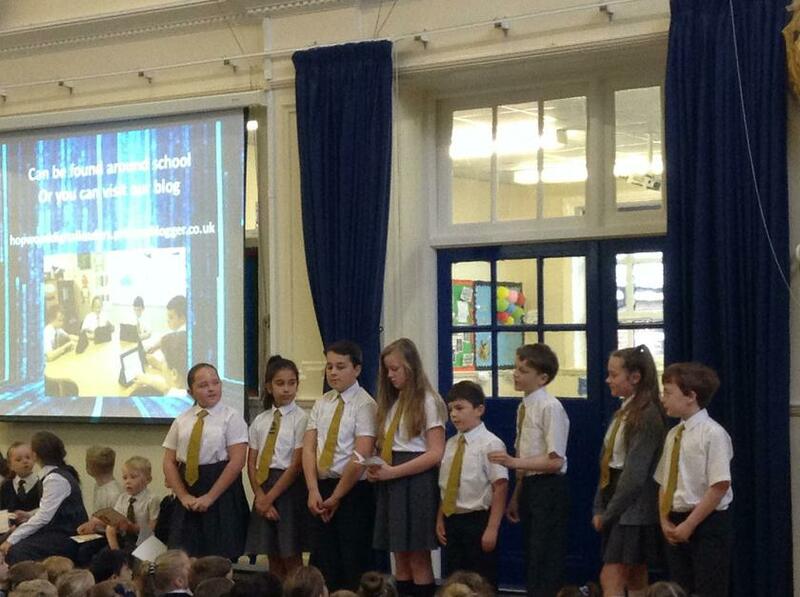 We led an assembly for the whole school and shared our top tips to stay safe online. 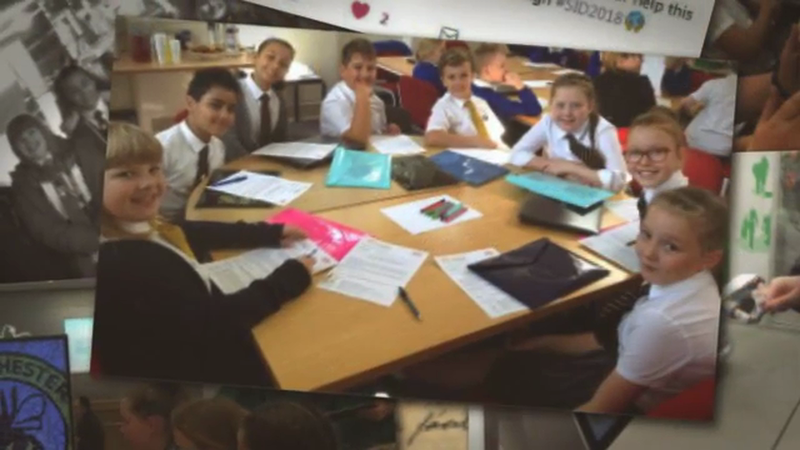 We also showed everyone the video we were involved in, which was also shared on our School's Twitter account as well as Rochdale Borough Council and the Safeguarding Children Board. 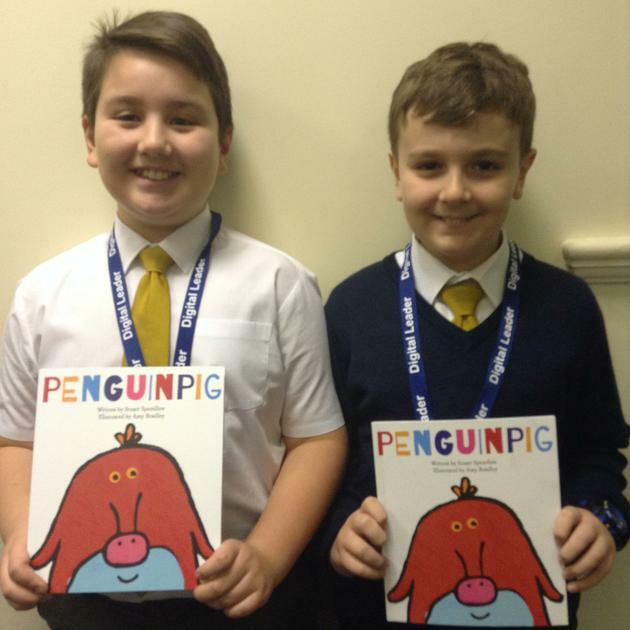 We shared the stories of Penguinpig, Monkeycow and Digiduck with Key Stage 1 children. 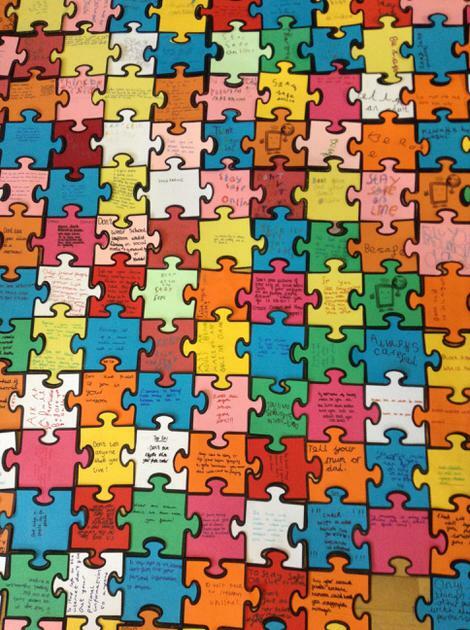 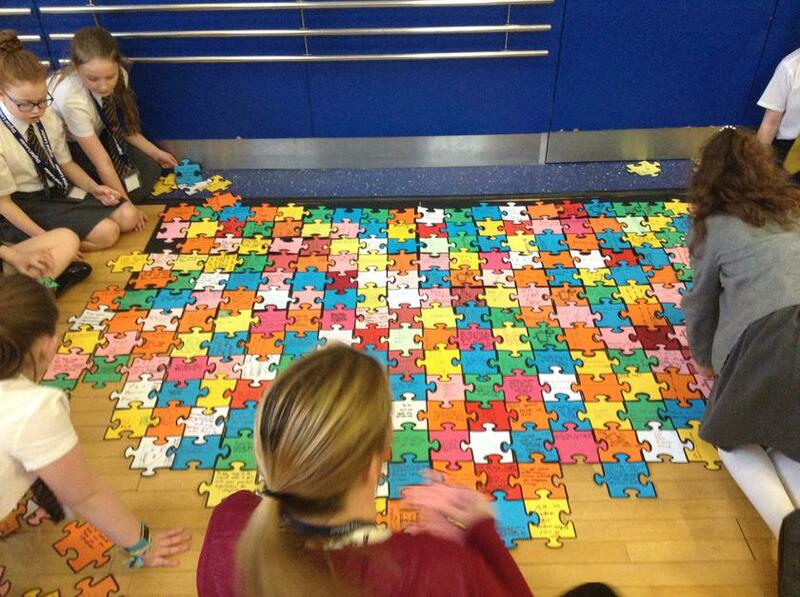 Everyone in school created a jigsaw piece, which we connected together in the main hall. 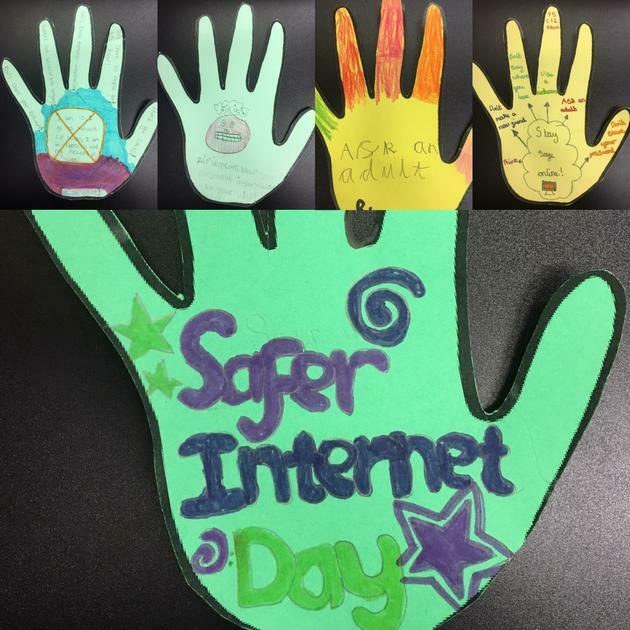 This month we are thinking about Safer Internet Day next month. 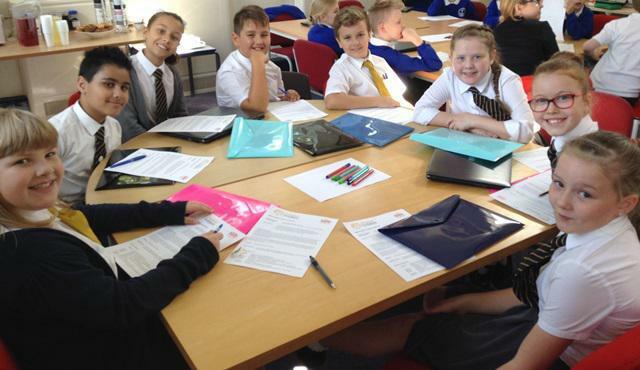 Our first task was to review and give feedback on an e-safety questionnaire for Rochdale Borough Safeguarding Children Board. 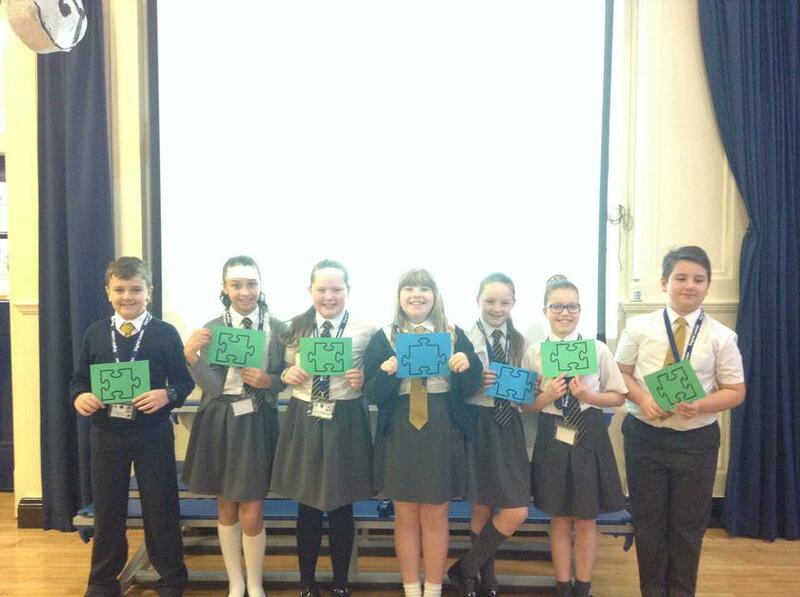 We also recorded e-safety messages as part of their e-safety campaign, which will run during the first week of February. 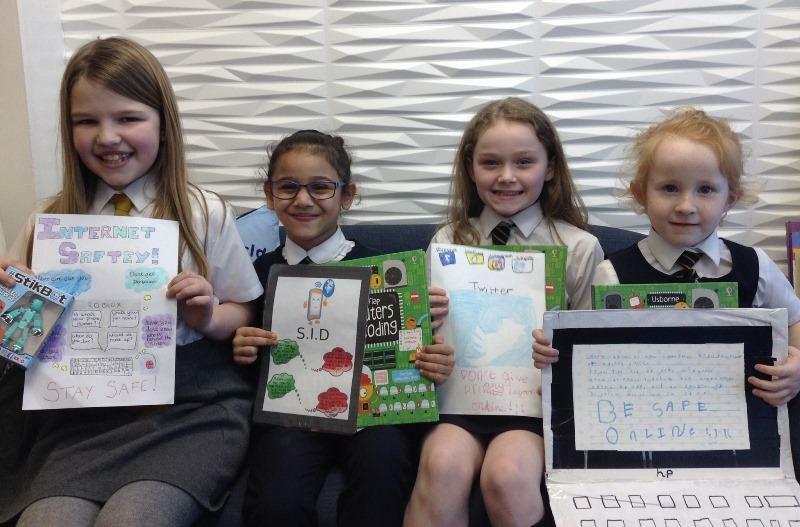 In December we helped Year 3 with their calendars. 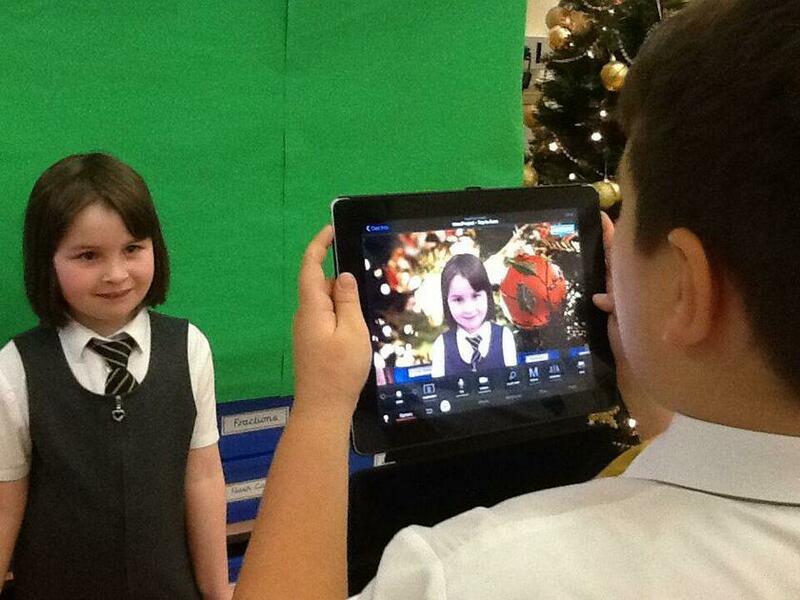 We used green screen technology and the app Touch Cast to take pictures of each pupil in four different scenes to represent a different season of the year. 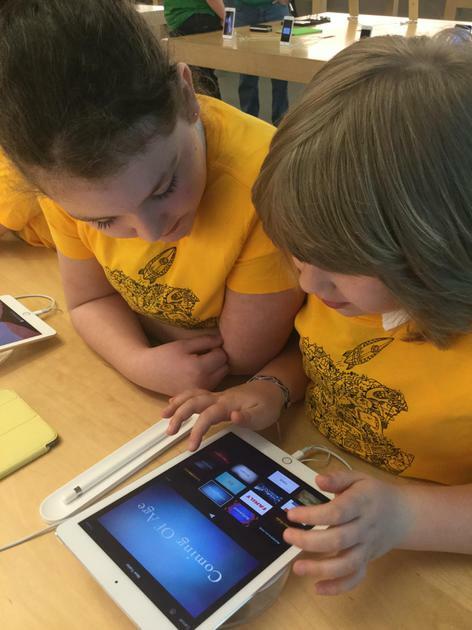 We also supported classes in their Hour of Code activities. 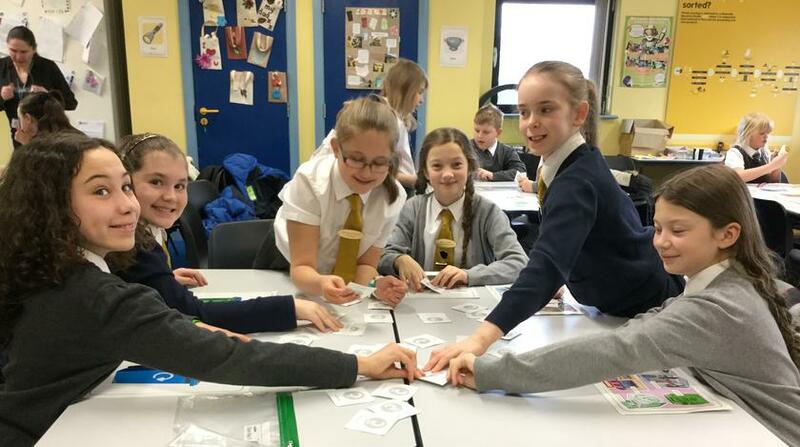 We have designed our own badges, using our avatars, for our lanyards. 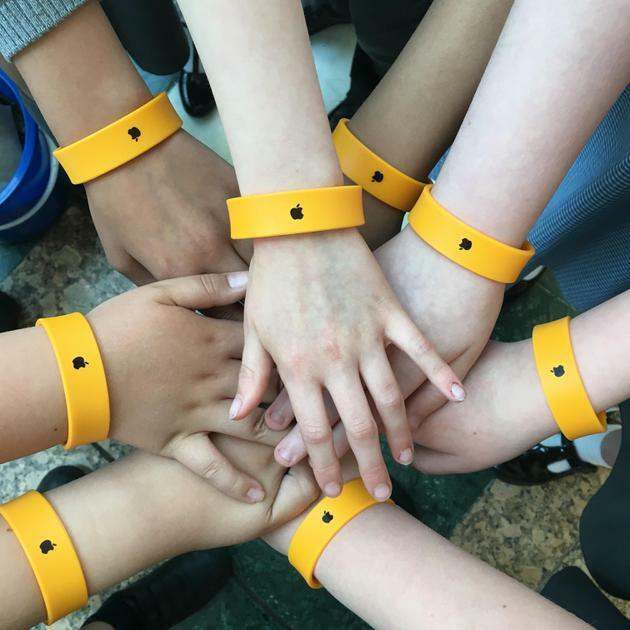 We will wear these when we are completing Digital Leader tasks so we are easily identifiable around school. 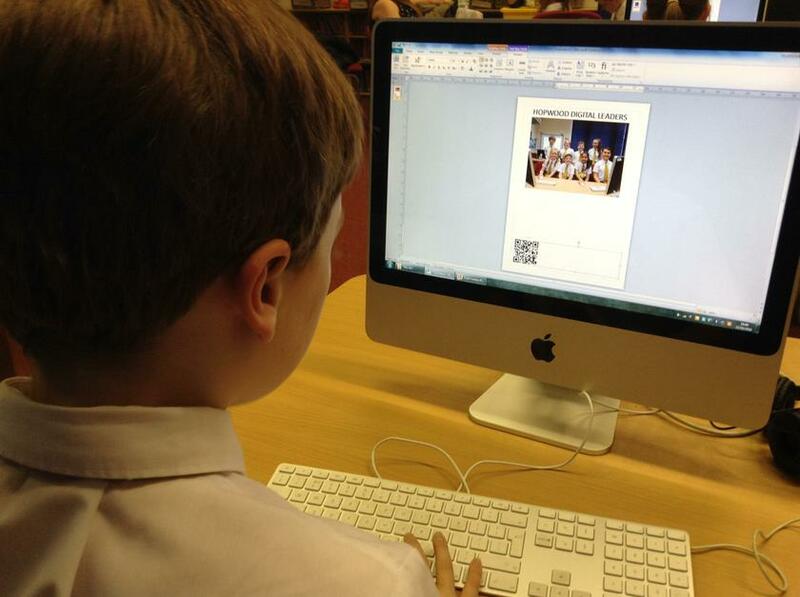 We ran a lunch time drop in session for all staff to show them how to create QR codes. 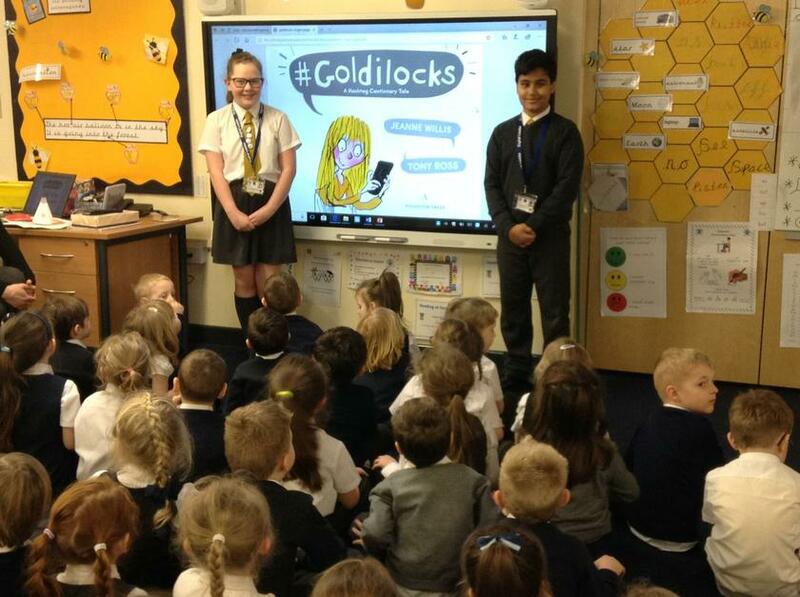 Today we attended our first Kids Meet as Digital Leaders. 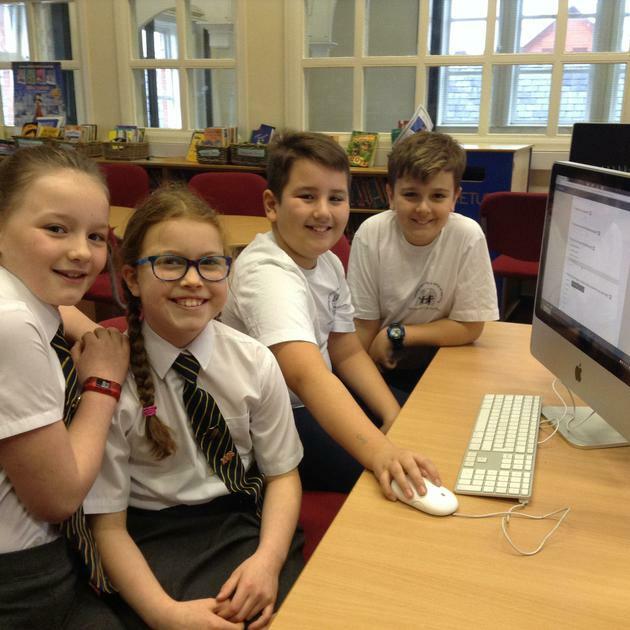 We went to Harwood Park to meet up with other Heywood Digital Leaders and to find out more about our role and challenges over the coming year. 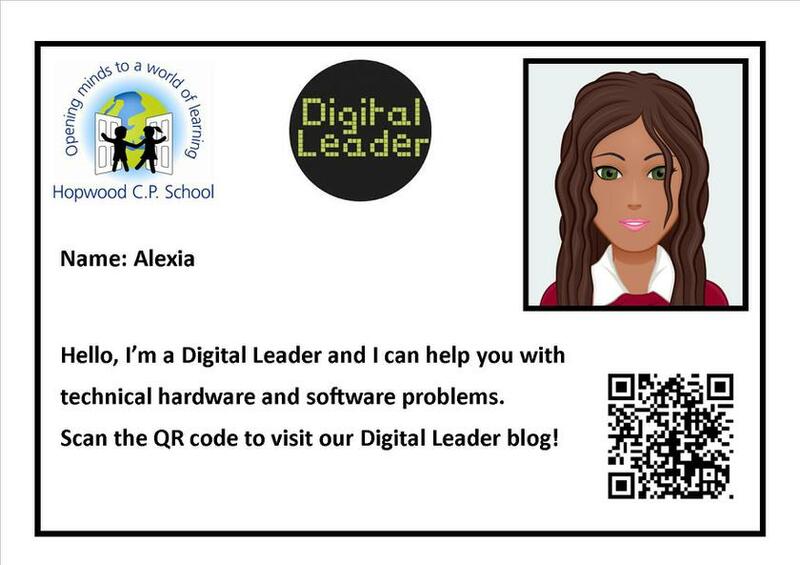 We can't wait to complete our first challenge and earn our Digital Leader badges! 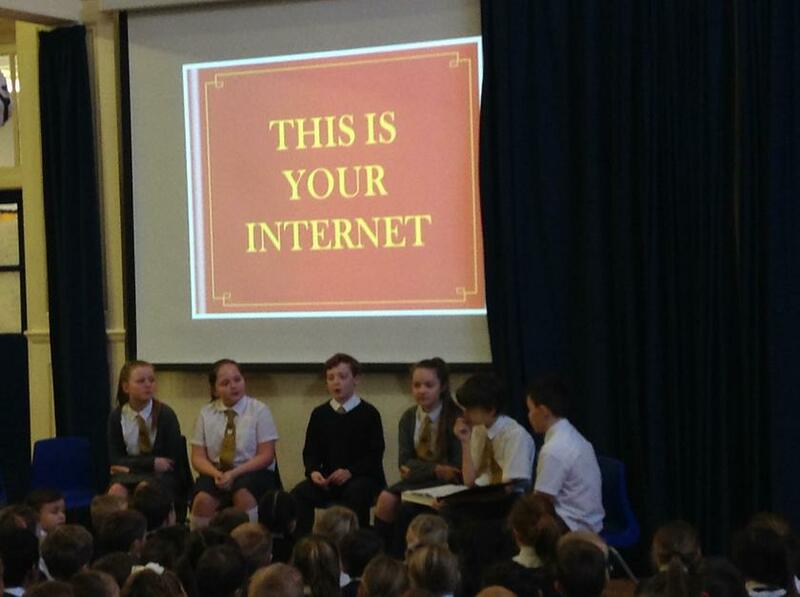 On Safer Internet Day we performed 'This is your Internet' in a whole school assembly. 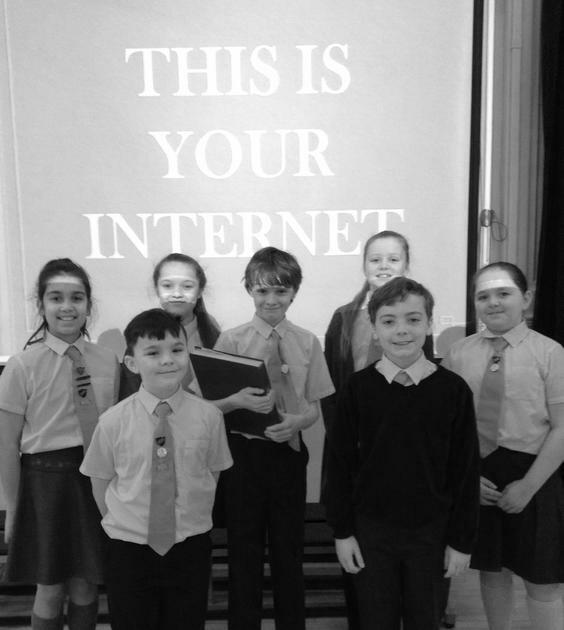 Our short play highlighted the positive and negative use of images on the internet and the digital footprint we leave behind. 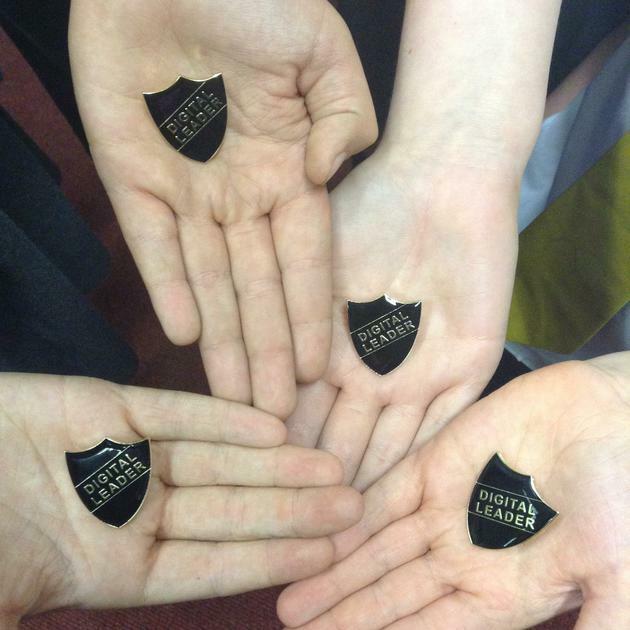 After completing our first challenge and voting for our new style badges, we were presented with our new Digital Leader badges today. 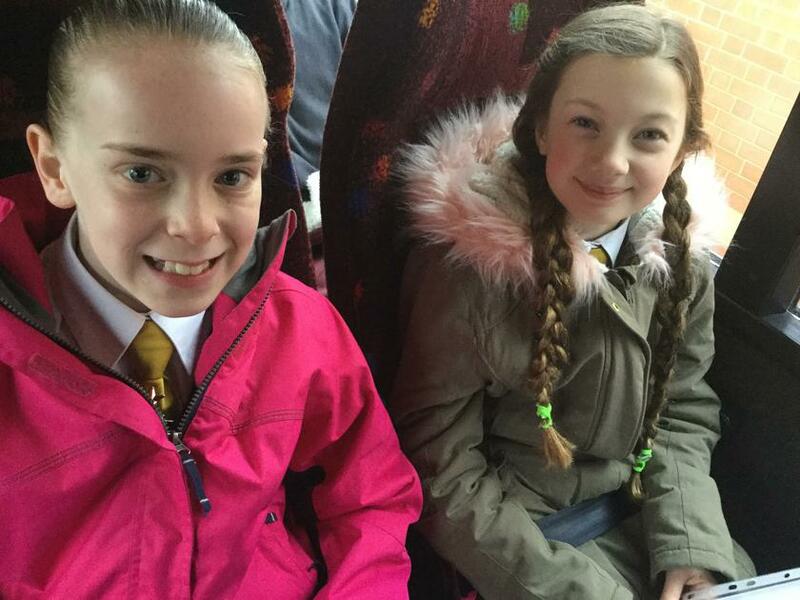 We are now wearing them with pride on our ties. 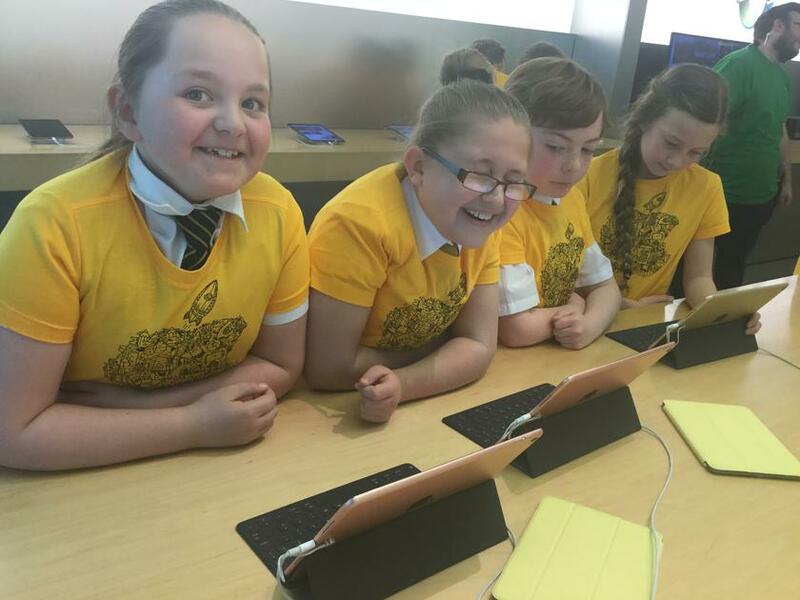 Today CompuTeam held an augmented and virtual reality work with all of the SHINE Digital Leaders. 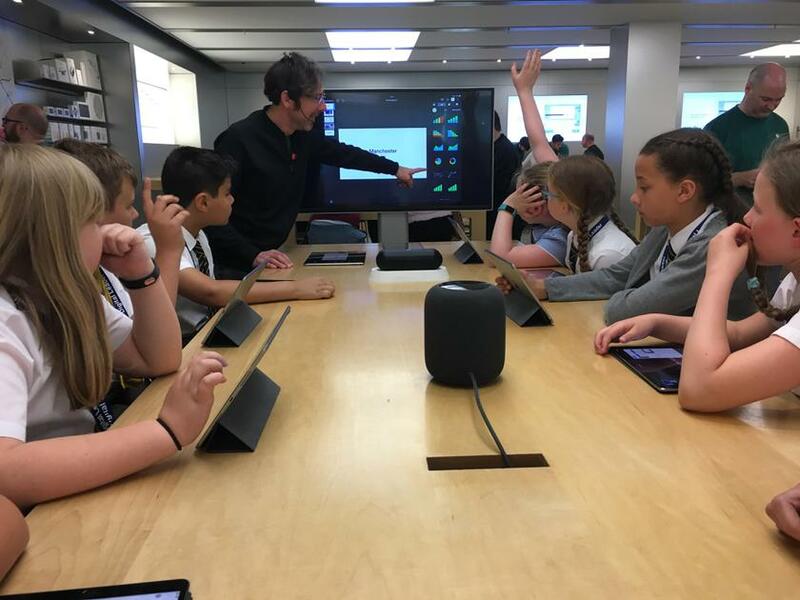 We really enjoyed using the green screen and we are looking forward to being able to look at the TouchCast app more in school soon. 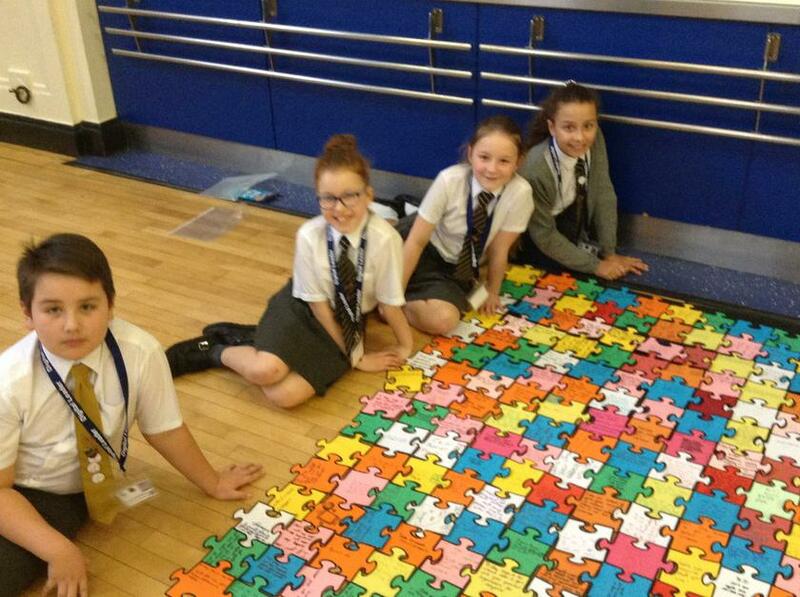 In the first autumn half term we have been busy look at apps and completing our first challenge. 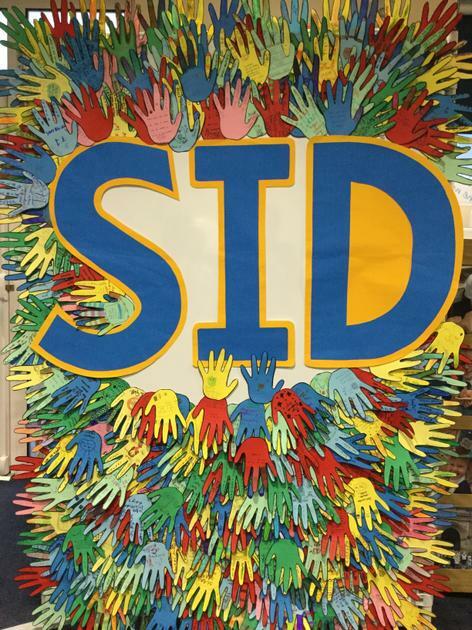 Our challenge was to make sure that everyone in school knew who the Digtial Leaders are and what their role is. 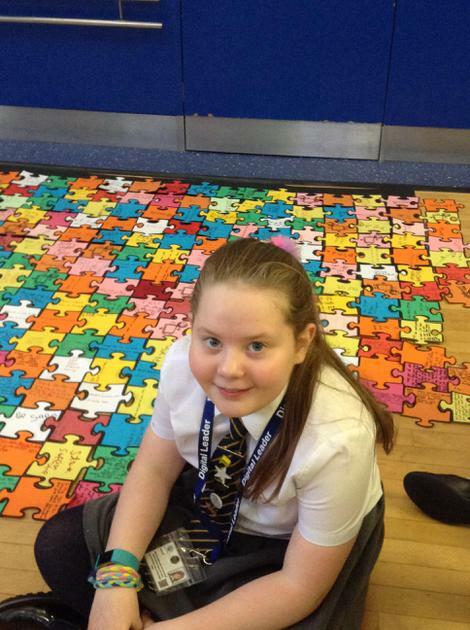 We made posters, updated our display and did a short presentation in a whole school assembly. 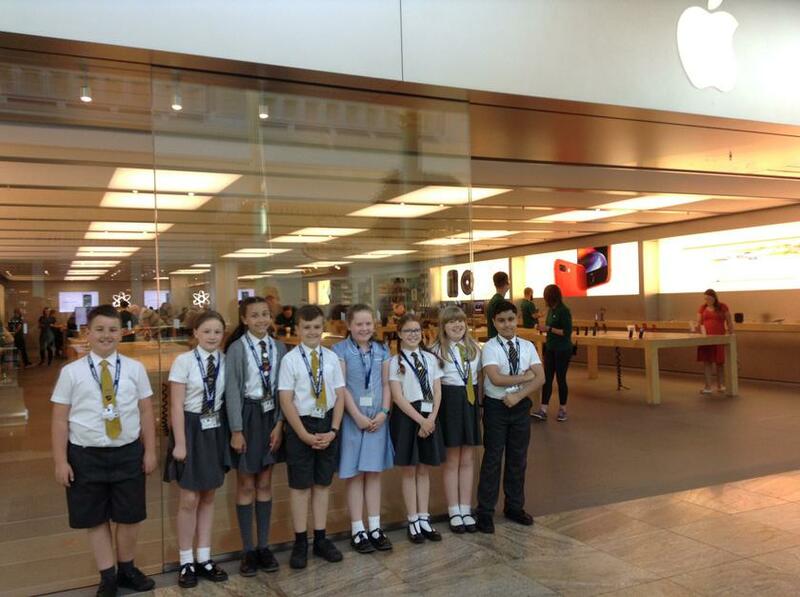 We have also been supporting reception to take photographs with the iPads and use the app PicCollage. 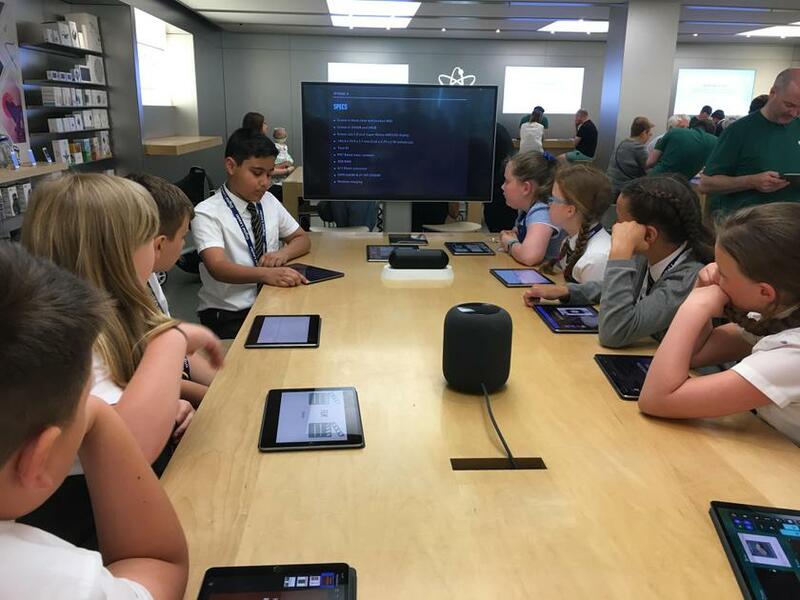 At the end of the school year our existing Digital Leaders had to recruit new replacements before moving on to high school. 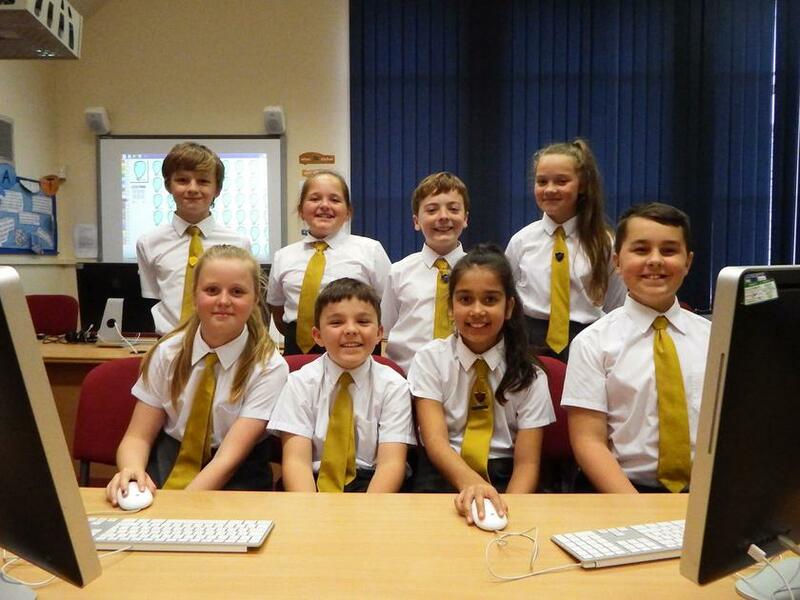 We held interviews in the ICT suite and appointed 8 Digital Leaders. 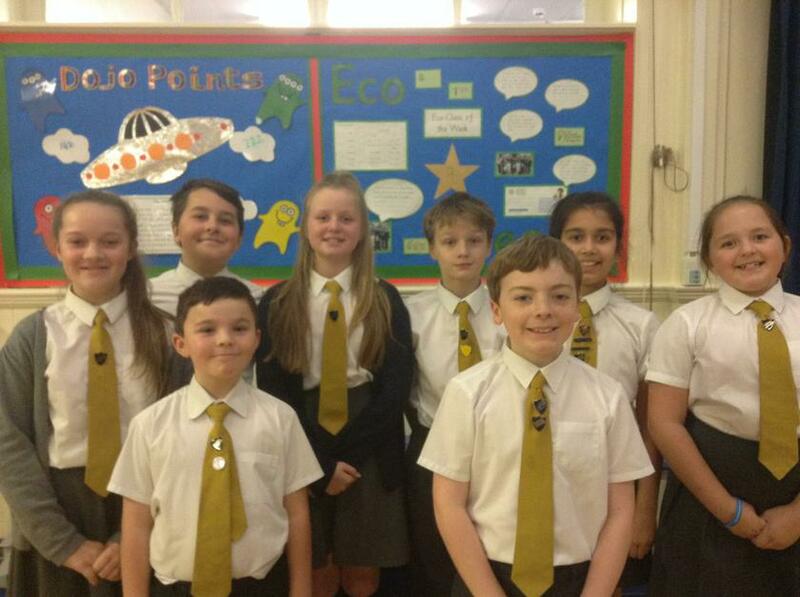 We hope they enjoy their new role and we wish our retiring Digital Leaders good luck for the future. 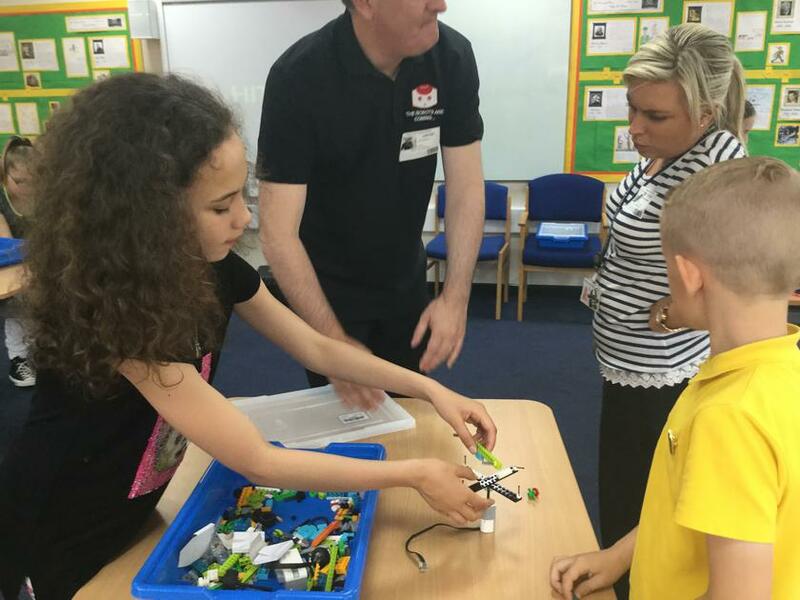 On Friday 10th June 2016 we attended a robot workshop with other Digital Leaders from the Shine Partnership. 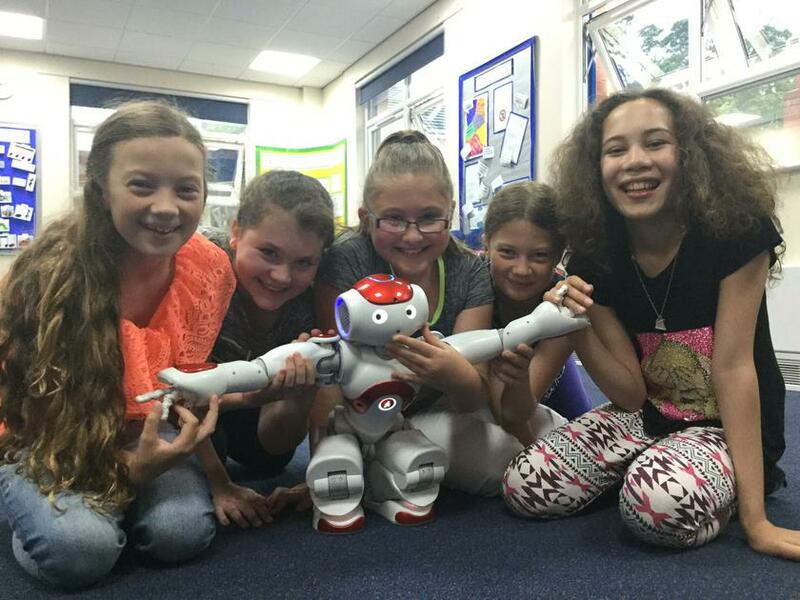 We met a humanoid robot called Nao, who could follow instructions, talk, play football and even sing and dance. 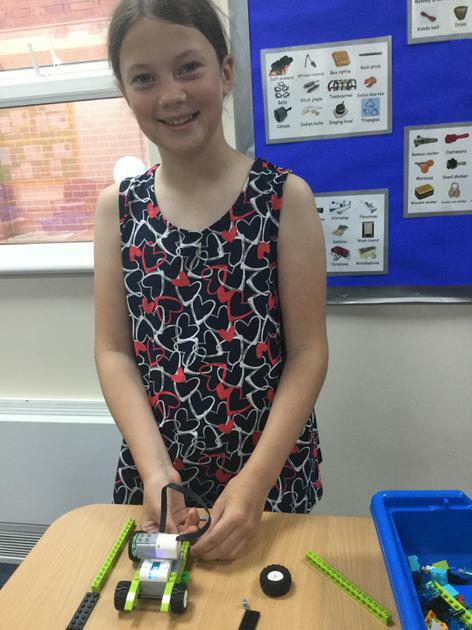 Then we designed, constructed and programmed our own car robots using Lego WeDo. 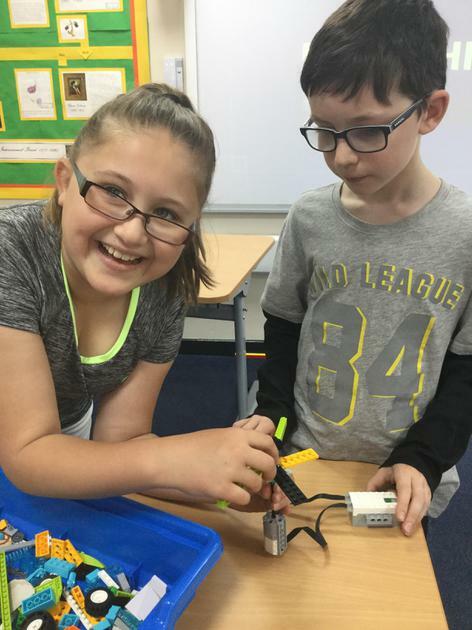 At the end of the session we had a robot car race. 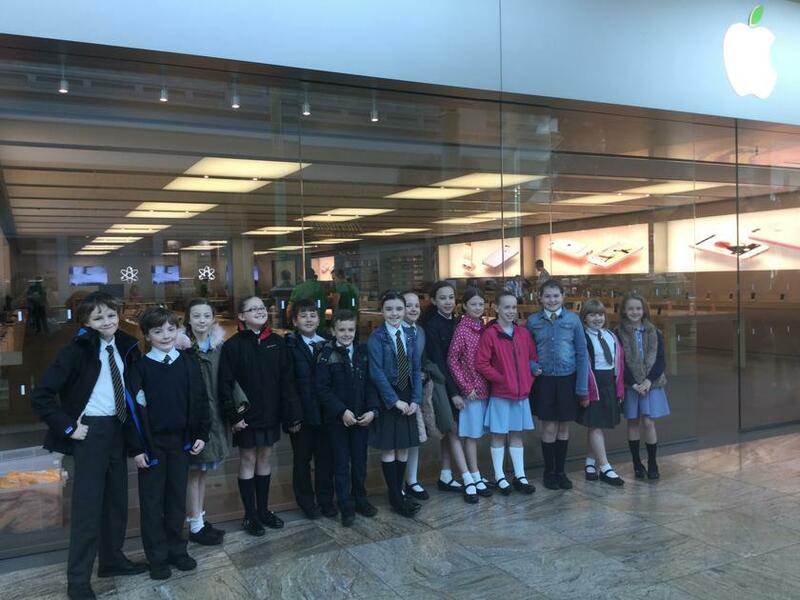 We had a fantastic afternoon! 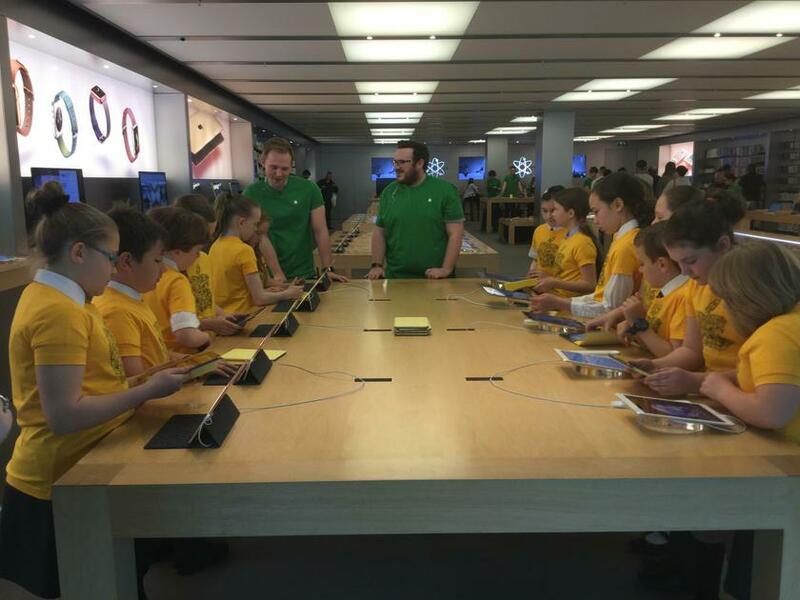 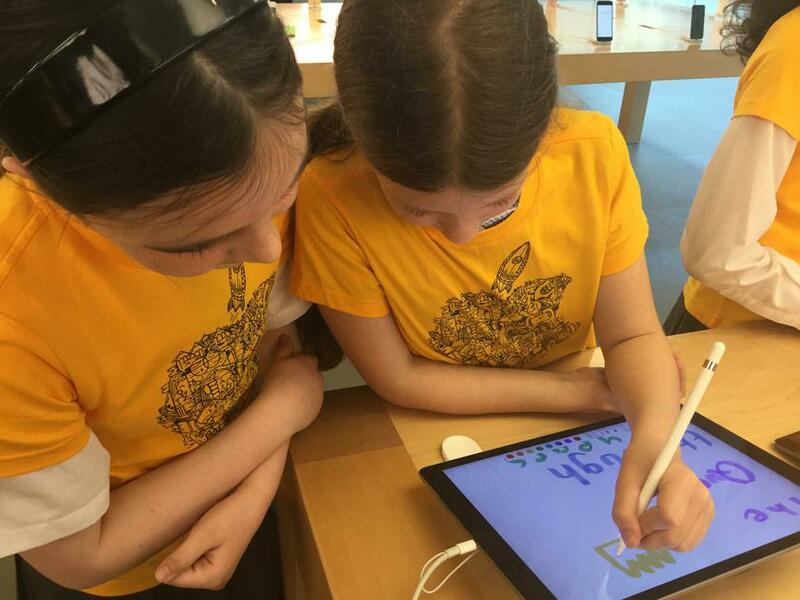 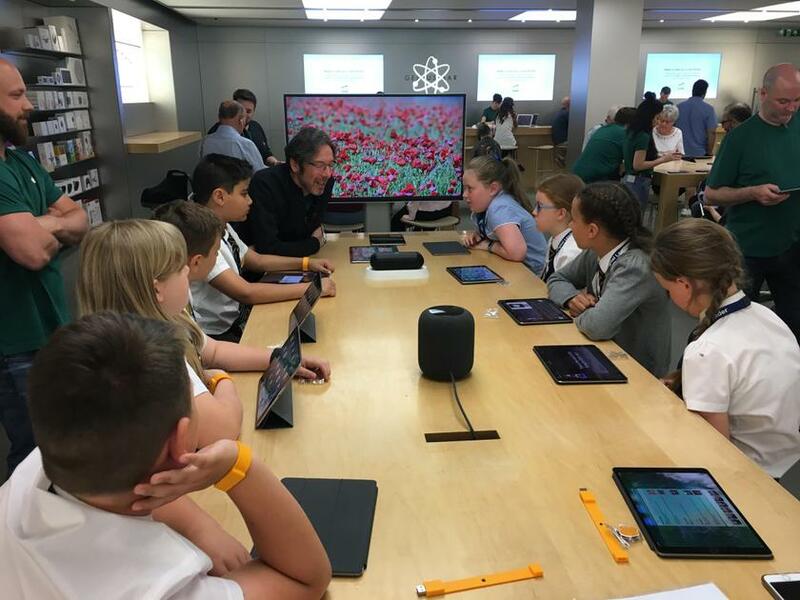 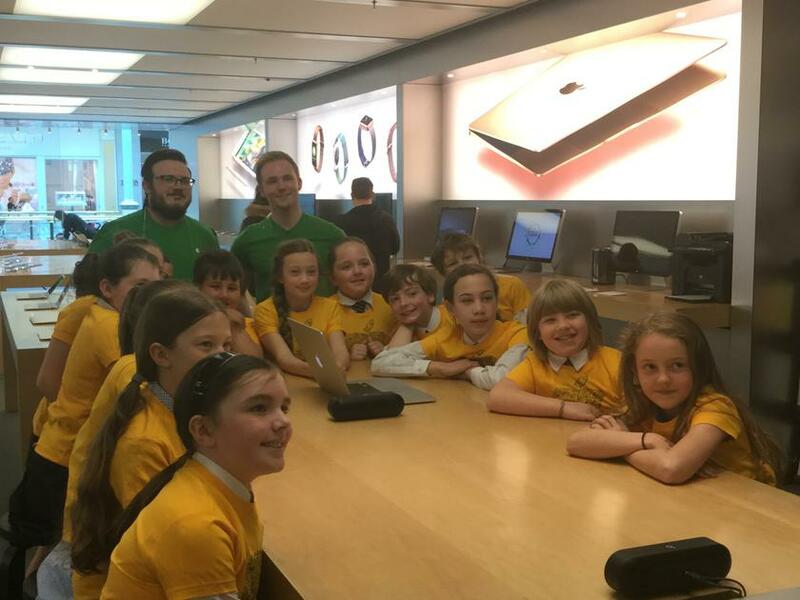 On Friday 22nd April we visited the Apple Store to work with the Apple Genius' to create a project. 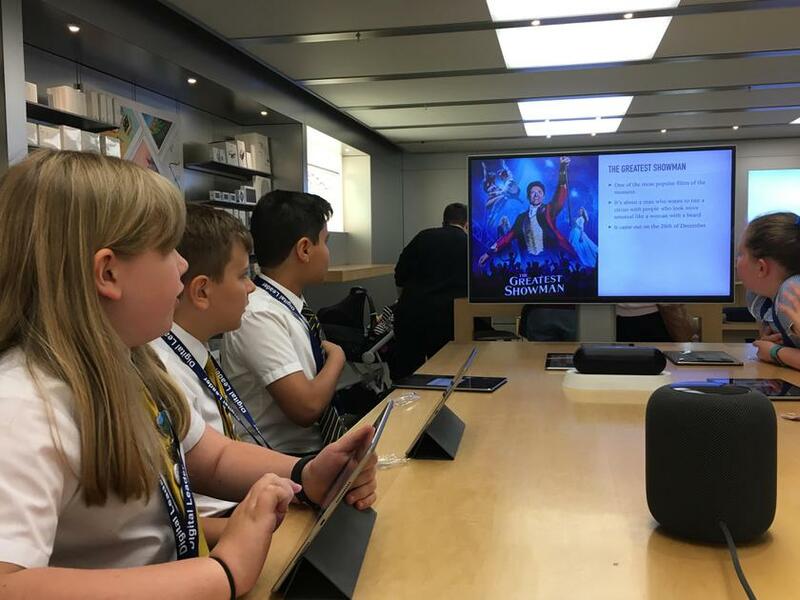 We also took some Year 4 and 5 children, who are interested in becoming Digital Leaders, with us too and supported them in using iMovie. 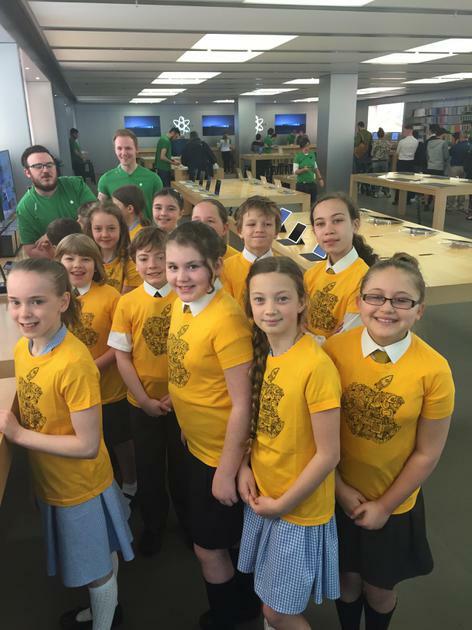 We had a fantastic time learning and questioning the Apple Genius' and we love our yellow Apple t-shirts. 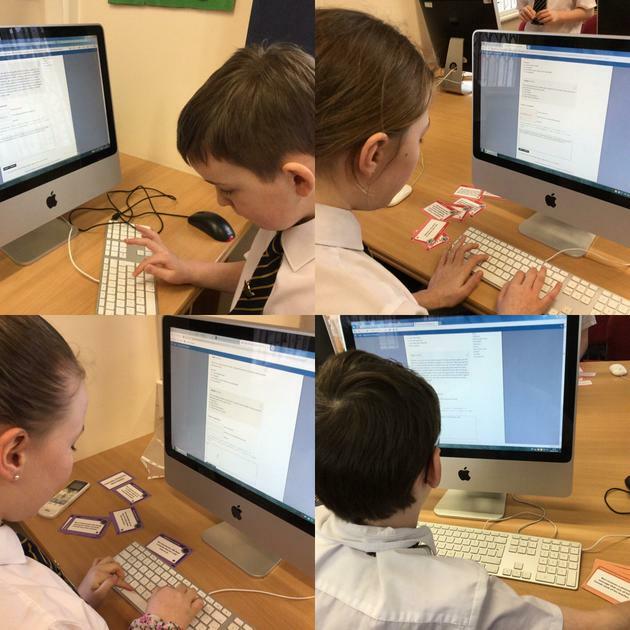 This half term our challenge was to create a user guide for a piece of digital technology or software..
We made a user guide last year for Pro-Bots using Thinglink and written instructions on how to create a Thinglink. 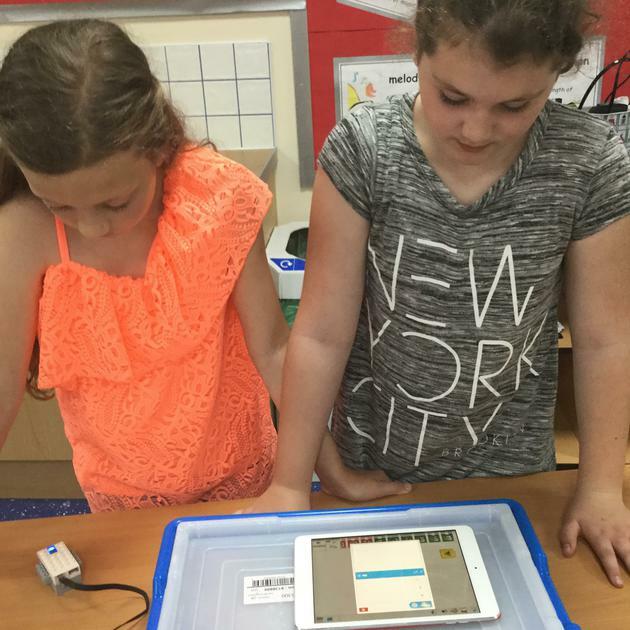 This time we decided to use Windows Movie Maker to create a video on how to use the app Tellagami. 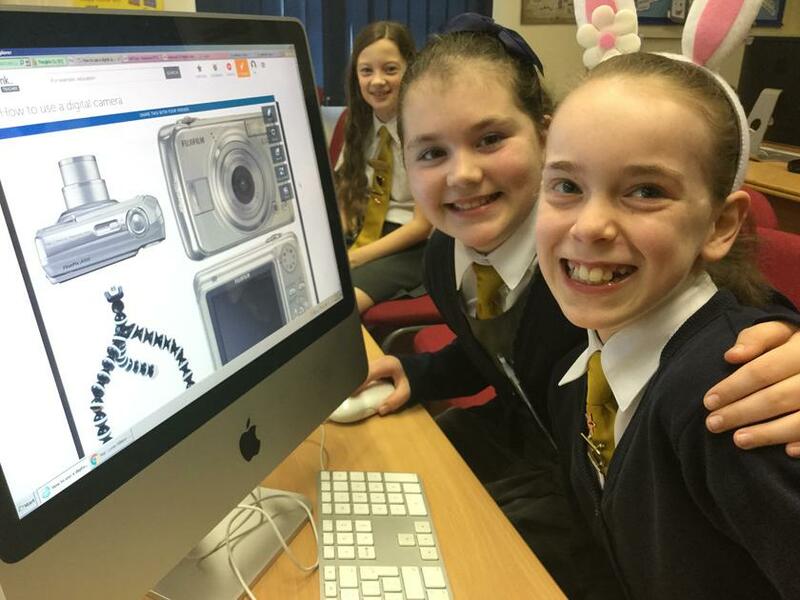 We also made a user guide for a digital camera as we have been using them in our computing lessons. 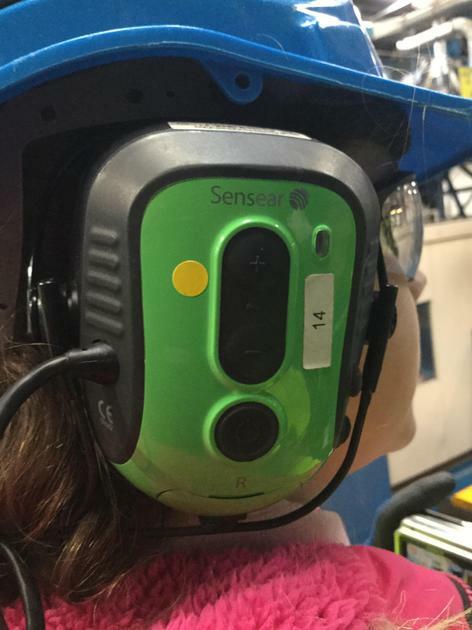 All of our user guides can be found on our blog. 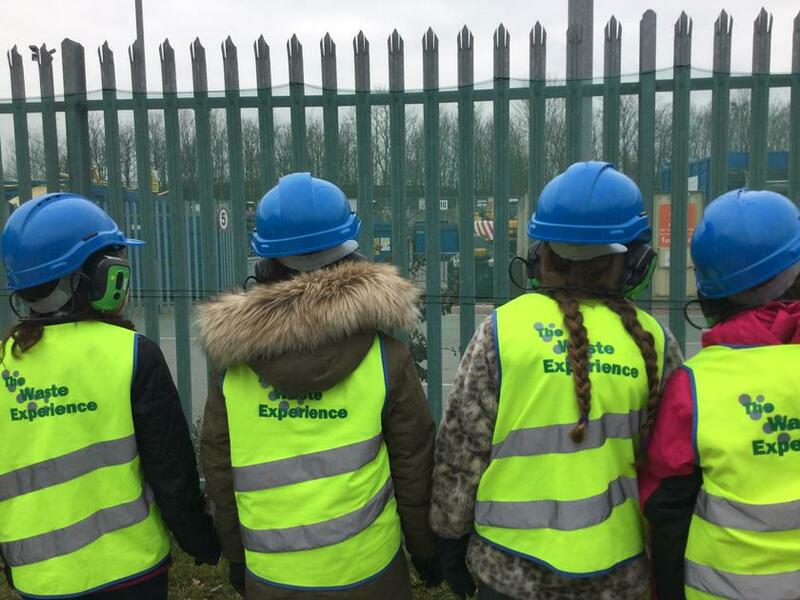 On Tuesday 22nd March we accompanied the Eco Team on a trip to Recycle for Greater Manchester. 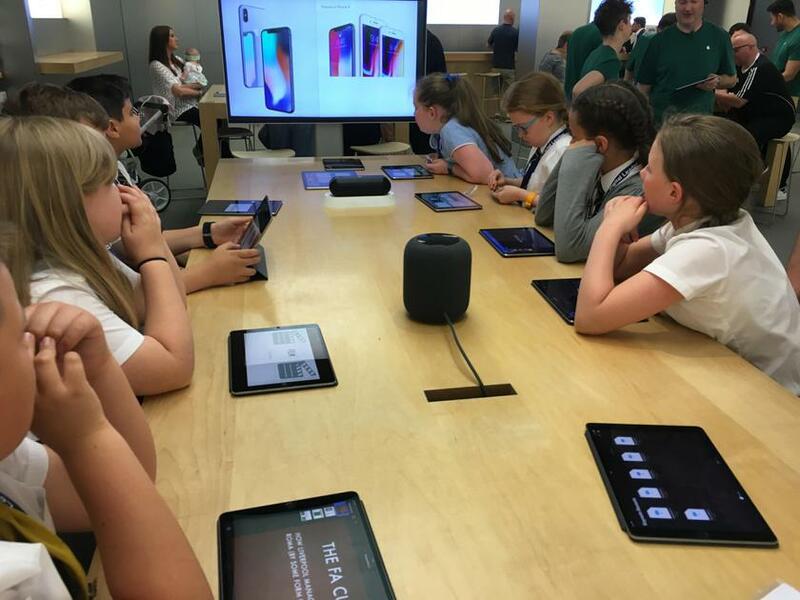 We were looking at how digital technology is used in the real world. 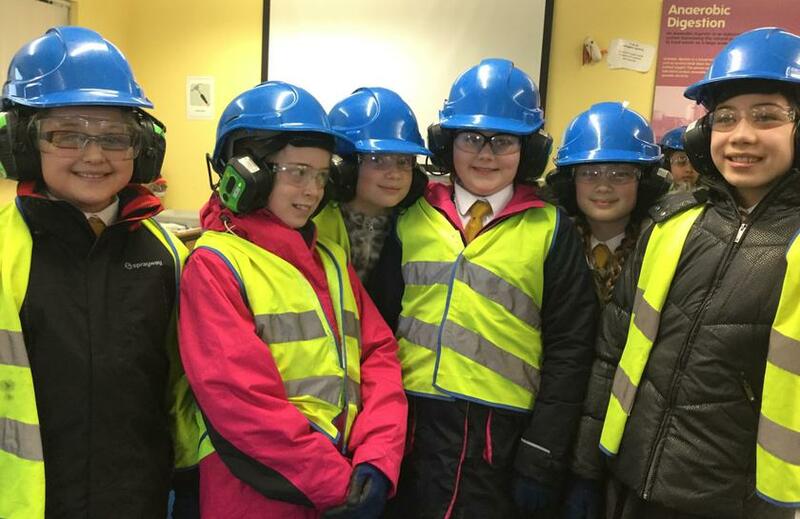 We found lots of examples including intercom systems, traffic light systems for the heavy machines who move around the sight, the machines which process the recycling and ear defenders with a built in radio system to protect their ears but still be able to communicate. 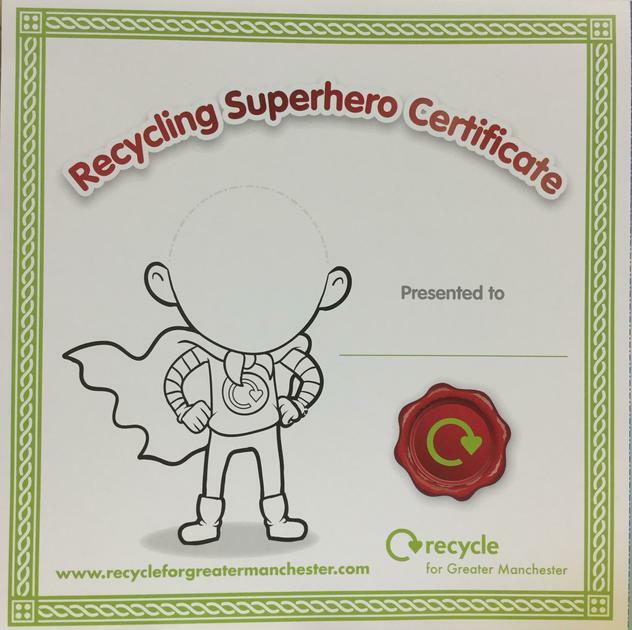 We even became Recycling Superheroes! 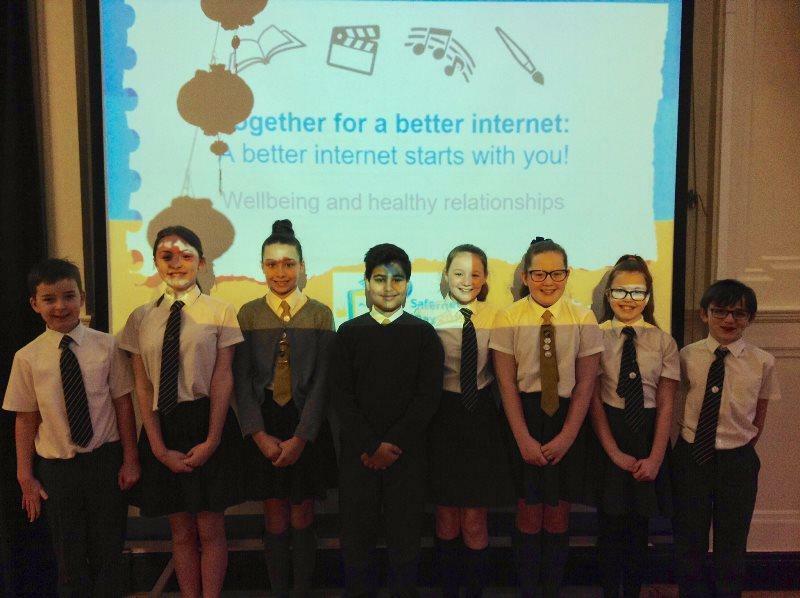 Our challenge this half term was to plan, organise or run an activity on Safer Internet Day, Tuesday 9th February. 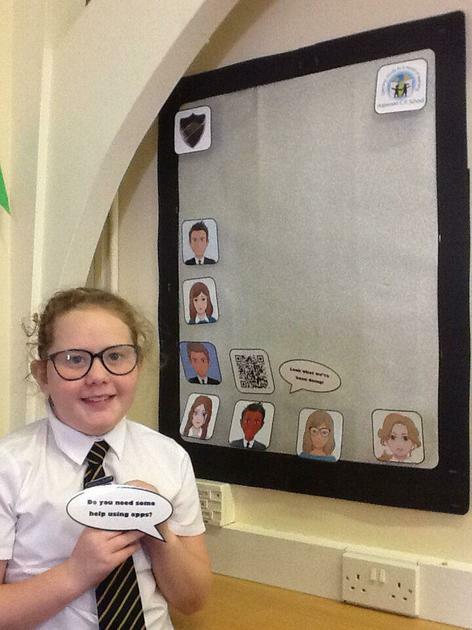 We helped our peers create their own avatars to help them stay safe on line, read Chicken Clicking to both Year 1 classes, handed out leaflets with the School Council and we made a video with tips on internet safety that we shared in a whole school assembly.